I am being spoiled next week at The Assembly with my two favourite bands both performing. In addition to the large scale Mostly Autumn show at the venue on Sunday 9th October Marillion have slotted in a warm up show for their upcoming North American tour on Wednesday 12th October, this date is hot on the tails of the bands incredibly well received (and a stunning piece of work it is as well!) new album ‘F E A R’. Sure to be a selection of numbers from their new baby on display as well as plenty from the bands extensive back catalogue. 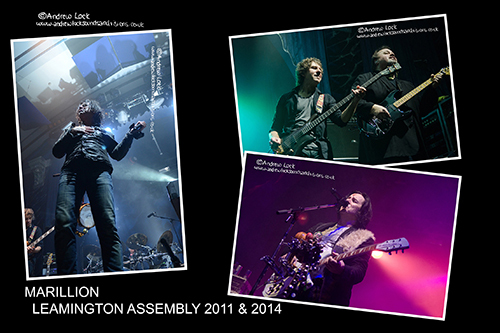 The band have several see out shows under their belt at the Assembly, most recently their 2014 Christmas show and the other visits for the 3 day 2011 Convention, a warm up for their High Voltage Festival appearance and an acoustic performance of the ‘Less is More’ album. The band return to the UK for more shows later in the year but this is a great chance to hear the new material live before the rest of the country and as always with this band you are guaranteed musicianship of the highest order and an incredible atmosphere.